If you are charged with a crime in Illinois or learn that you are under investigation, your first reaction will probably be shock and fear. Is this for real? What’s going to happen to you? Will you go to prison? Lose your job? But even after you move past these emotions, there’s a decent chance that you may still feel confused about your charges. Yes, you understand that you are facing a charge for Battery. Or Disorderly Conduct. Or Unlawful Use of Weapons. But what does that really mean? And what are those numbers and letters written next to the charge that begin with 720 ILCS? What you are seeing is the Illinois criminal statute associated with the crime in question. As a former Cook County prosecutor and current Chicago defense lawyer, Andrew M. Weisberg is intimately familiar with all charges that fall under 720 ILCS. He not only knows common defenses that can be used to give you the best possible outcome based upon the statute that you are up against, but also how prosecutors tend to build their cases – and how to call their arguments into question. This unique insight has allowed him to help all kinds of people just like you to get their 720 ILCS charges reduced – or even dropped or dismissed altogether. You can see his incredible level of success by looking at his track record and what he has been able to do for past clients. 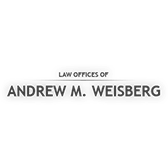 When your future is in jeopardy, do not delay in turning to Andrew M. Weisberg. There are really two reasons. The first is that, whether you or someone you love is facing a misdemeanor or felony offense, the penalties you are up against may be life-changing. In Illinois, both types of 720 ILCS criminal categories can lead to hefty fines, other serious administrative penalties, and even jail time. You may find it harder to secure housing, get a good job, qualify for a loan, or obtain necessary licenses and certifications for your business or career. And, of course, there is the truly serious damage that a conviction can do to your reputation. Your best chance of fighting back and actually securing a positive outcome is to work with a knowledgeable and experienced Chicago criminal lawyer who understands the nuances of our state’s criminal statutes and how to use that information to your benefit. The second reason you want a smart defense attorney backing you up as quickly as possible is because they can make sure that your rights are protected, proper procedures are followed, and that you do not say or do anything that might unintentionally damage your case. By and large, law enforcement officers try to do things by the letter of the law and treat suspects with care and respect – but their job is still to get a conviction. They want evidence that they can use against you, and they want you to confess. Because of this, you should never assume that they are on your side or that they want to help – even though they may work hard to convince you otherwise. If you have a smart attorney with you who understands your rights and the specifics of the 720 ILCS charge you face, he can make sure that you are truly protected. There are all kinds of defense attorneys in and around Chicago who say they care about their clients and say they can help you. So why should you trust Mr. Weisberg above all of them? Knowledge is power when you find yourself on the wrong side of the criminal justice system. Law enforcement officials in Chicago and surrounding areas take crimes very seriously and strive to punish alleged offenders to the full extent of the law. To effectively battle your charges, you need an advocate on your side that is just as serious. Andrew M. Weisberg is that advocate. Reach out to him today for a free initial consultation by filling out his simple online case review form, emailing him at andrew@amwlaw.com, or calling 773-453-2140. When You Need a Tough, Seasoned, Credentialed Chicago Criminal Defense Attorney with the Experience and Perception of a Former Cook County Prosecutor.